The constant battle for life and death is apparent here on the African plains and landscape. Predator and prey trying to outwit and survive. 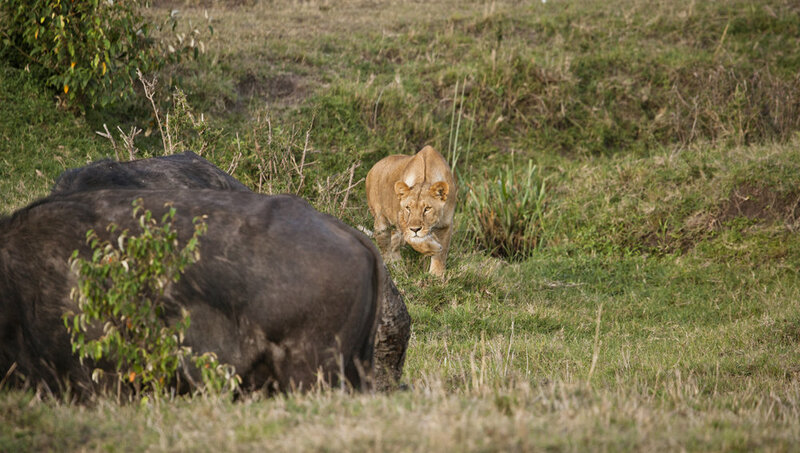 Here a Lioness has stalked a Cape Buffalo only to have a half hearted attempt at bringing it down. Remarkable to watch, she learnt a lesson ! !